celebrate its historic architecture and the dynamic crowd that it attracts over all properties. The concept behind the new Spreckels logo was redesigned as a monogram to be used as a family seal across all Spreckels platforms. 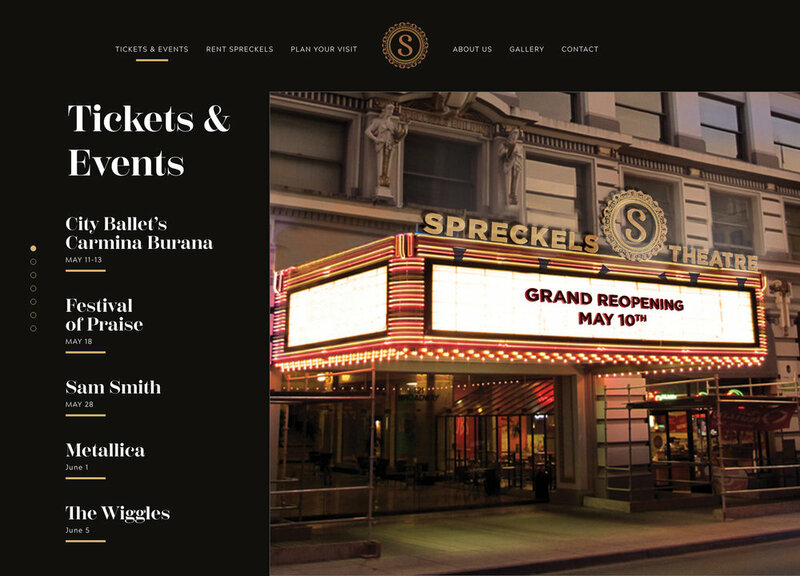 The design was inspired by the architecture design found throughout the Spreckels Theatre and properties. 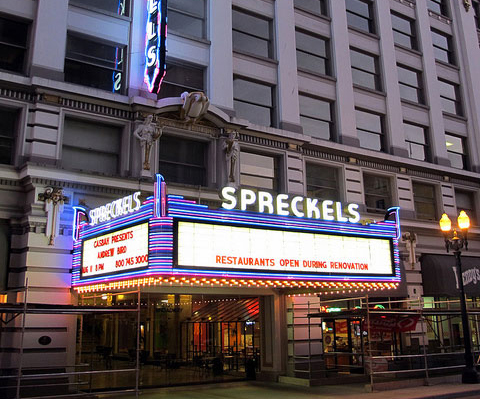 The Spreckels family played a prominent role in the foundation of San Diego History.